Tag Archive | "communication systems services"
Skype Inc. was sued by a Luxembourg company for infringing its patents in a federal court in the United States on Thursday. Via Vadis filed similar lawsuits against the internet video phone company in Europe. Via Vadis alleged in the lawsuit that Skype used two of its patented data access, as well as management technologies to offer peer-to-peer communication systems, services, products and methods. It appears that the lawsuit was filed in the U.S. District Court in Delaware just a month after the Microsoft Corp. announced its plans to acquire Skype for $8.5 billion. In the lawsuit, the Luxembourg-based company is seeking damages and asks the court to order the company to discontinue infringing its technology. Via Vadis has already filed a lawsuit against Skype in Germany and Luxembourg. 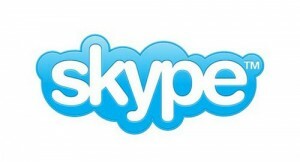 It has decided to bring its case to the United States now that Skype has been acquired by Microsoft Corp. The court in Luxembourg issued a search order to inspect the offices of Skype in Luxembourg and gather evidences. Skype has appealed and declined to present its source code. Skype said that it cannot comment on the litigation. Skype offers an application that allows Internet users to make online video and voice calls, as well as chats. It is also popular for its other features such as video conferencing and file transfer. As of 2010, it has 663 million registered users. Skype is a peer-to-peer system instead of client-server system. It uses background processing on computers with Skype software. On May 10, 2011, Microsoft Corp. has agreed to buy Skype Communications.